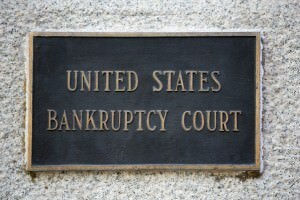 Bankruptcy is the legal process in which a bankruptcy court permits an individual and/or business to be discharged from debt due to an inability to pay. There are multiple types of bankruptcy the courts will allow, each excusing a portion or full amount of a debt. Committing bankruptcy fraud which is a federal crime, violators generally conceal assets, make multiple bankruptcy filings and/or become involved with bankruptcy petition mills. Accordingly, members whose background also includes FBI Bankruptcy Fraud can be a great asset to someone looking for an investigator and/or needing an expert trying to find concealed assets. Recent changes in the bankruptcy law have resulted in significant increases in the number of bankruptcy fraud cases being investigated/prosecuted for concealment of assets. Under the new law, a debtor cannot file for Chapter-7 bankruptcy if their disposable income is greater than $183.50 USD per month. Under Chapter-7 debts are generally forgiven, while under Chapter-13, a debtor must make monthly payments toward a portion of their debt from three to five years. Individuals making a false statement in furtherance of a bankruptcy fraud can also be prosecuted and charged with a crime, in particular making False Statements to the Bankruptcy Court. The FBI is the primary investigative agency responsible for addressing bankruptcy fraud. And while there are other financial crimes where-in the FBI invests considerable resources—like mortgage fraud, financial institution fraud and health care fraud—FBI believes bankruptcy fraud can seriously undermine the country’s economic stability. Prioritizing bankruptcy fraud investigations, working closely with the U.S. Attorney’s Office, agents are asked to target large dollar cases, organized crime and suspects filing multiple bankruptcies. The U.S. Trustees Program–under the U.S. Department of Justice–oversees the bankruptcy court system. Uncovering fraud, a trustee generally refers the information to an appropriate U.S. Attorney and the FBI for investigation. Working closely with the U.S. Attorney’s Office, FBI agents generally conduct interviews and review financial documents filed in connection with the bankruptcy petition. And based on the complexity of a bankruptcy fraud investigation, agents might use additional more sophisticated techniques conducting an investigation, including using Confidential Human Sources, FBI Undercover Operations and/or court-authorized Electronic Surveillance to collect evidence. Members’ listing FBI Bankruptcy Fraud as a skillset can be very helpful to law firms, security professionals and/or journalists, wanting to speak with someone about concealed assets, needing an investigator and/or expert to conduct an investigation, render a professional opinion and/or provide media commentary. Asked to review evidence reflecting someone might be hiding assets, members whose skills include FBI Bankruptcy Fraud can analyze digital evidence, provide testimony, and/or when solicited, produce an affidavit documenting concealed assets and/or fraudulent statements. Besides having an expertise concerning FBI Bankruptcy Fraud, these members also have important organizational, analytical and reporting skills, needed to examine and present evidence and/or locate and interview witnesses. Worried about security, learning about fraudulent statements, members listing FBI Bankruptcy Fraud can provide valuable insight and guidance protecting assets and setting up a security plan. Specifying FBI Bankruptcy Fraud as a skillset, these members also have the training, expertise and contacts to identify witnesses and locate concealed assets, “not” only locally, but at the state and federal level as well. Likewise, many members whose backgrounds include FBI Bankruptcy Fraud also have media experience, and can provide journalists and news outlets with commentary about fraudulent schemes and concealing assets. Able to cite policy manuals and investigative techniques, presented with a criminal complaint and/or an indictment, members listing FBI Bankruptcy Fraud can provide viewers and listeners with background information needed to explain charges and/or fraudulent scheme. Need additional information about a member whose background includes FBI Bankruptcy Fraud, just make contact with the member and make inquiry using the information provided. Looking for an FBI Bankruptcy Fraud—website visitors need only use the search feature, entering the appropriate skill, as well as the geographical area of preference and make contact with an FBI Bankruptcy Fraud using the information provided. Retired FBI Agents and Analysts, interested in securing a Directory listing and/or a personal email address who have a background that includes FBI Bankruptcy Fraud, need only submit a brief online application to join the website.